Space, the English language specialty television which features science fiction, fantasy, horror, and paranormal programming, will be available in high definition beginning Wednesday July 6th. The Bell owned station will only be available on Bell Satellite TV on channel 1746) and Bell Fibe TV on channel 1632 because it has yet to sign any deals with other Canadian television service providers. 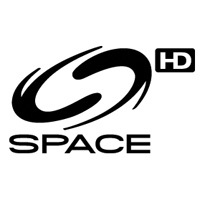 The launch of Space HD was a long time in coming. Chum, the stations previous owner received approval for an HD version of Space in June 2007. That same month Space was sold to CTVglobemedia (subsequently taken over by Bell Media) as part of its takeover of Chum.